Cinque Terre is one of the most fascinating destinations in Italy, on the bucket list of many visitors from across the world. Nowadays, these five little towns overlooking a crystal-clear sea are as famous as other top tourist attractions like Rome, Venice, the Amalfi Coast, and Tuscany. Speaking of Tuscany, if you are planning a holiday to this marvelous region, it would be easy for you to plan a day trip to the five Cinque Terre towns too. They are located 130 km from Livorno, where many cruise ships dock and 115 km from both Pisa, of Leaning Tower fame, and Lucca, one of the most charming towns in Northern Tuscany. Nevertheless, visitors from abroad often make wrong assumptions about Cinque Terre, understandable as it is quite a peculiar destination after all. 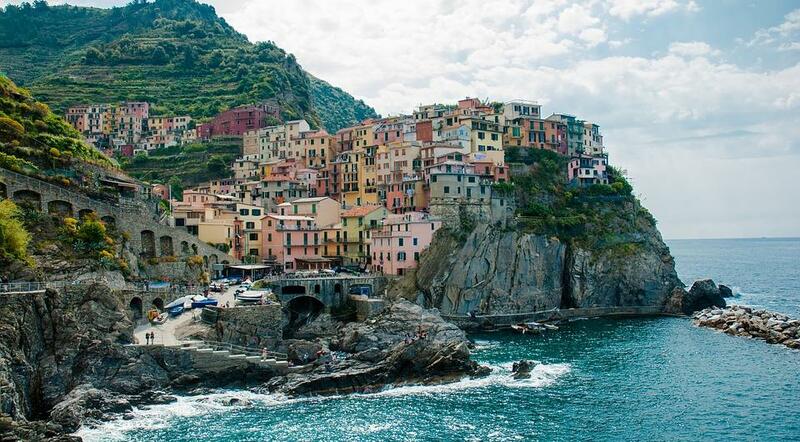 For this reason, learn more about Cinque Terre with these five tips. (And no spoilers here, don’t worry! We’ll just help you prepare for your visit so that you can fully enjoy it. 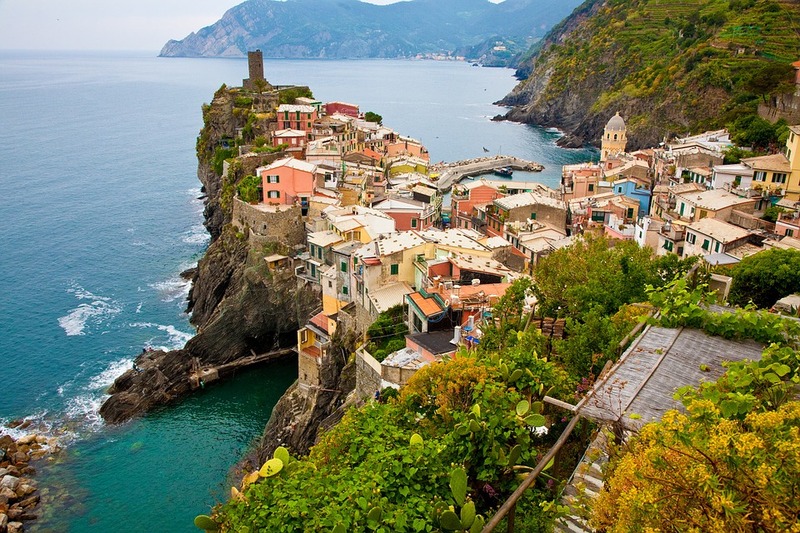 Once there, we promise that you will still be amazed by the five Cinque Terre towns). If you look at a map, you won’t find a single town, village or island called “Cinque Terre”. The name actually indicates a jagged stretch of coastline in North-West Italy where five different places, each separate from one another, can be found. In fact, Cinque Terre literally translates to “Five lands”. Each “land” (i.e. town) has its own name. Going East from West, we can list them as Riomaggiore, Manarola, Corniglia, Vernazza, and Monterosso. All of them are still inhabited all year round, not just during the Summer months. Many people expect Cinque Terre to be an archipelago, but they are not! 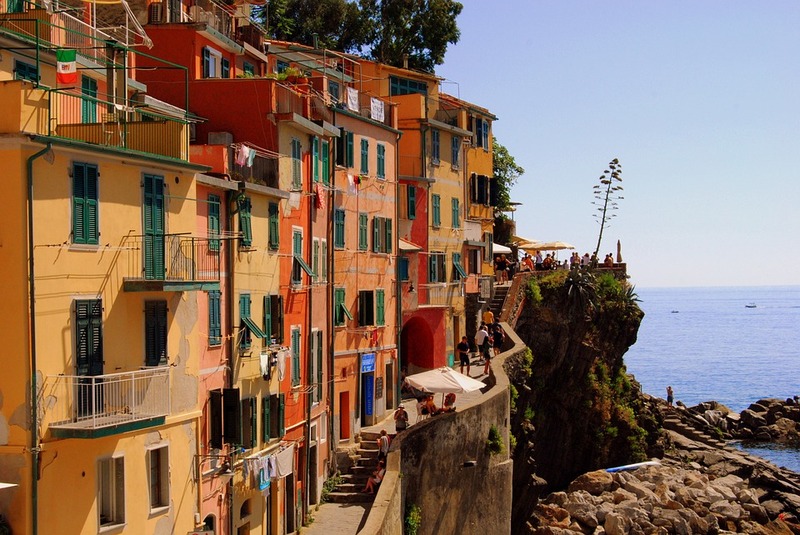 They are five little towns perched on the rugged coastline overlooking the Ligurian Sea. In the past, because of their particular position, they used to be fishermen villages. Even to this day, when tourism is the main source of income for many locals, it is still possible to see old fishing boats dangling gently in the little harbors. This is one of the peculiarities of Cinque Terre for sure, along with colorful houses, steep and narrow streets, and the beautiful surrounding landscape. Even if Cinque Terre are very close to Northern Tuscany, they are not located in this famous Italian region. Riomaggiore, Manarola, Corniglia, Vernazza, and Monterosso are located in another region called Liguria, which does border Tuscany (hence the confusion). Like Tuscany, Liguria is also charming, but very different, with a cragged coastline, imposing cliffs and inlets. Here, behind the large group of villages overlooking the sea, including Cinque Terre, the inland ramps up in steep terraced fields where special vines and olive groves grow. Because of how steep the Ligurian coast is, it is not recommended to visit the Cinque Terre towns by car. Once you get near Cinque Terre, it is advisable to continue on foot as many of the villages don’t have parking lots for non-residents. In short – just forget cars and vans when visiting this destination! The best way to truly enjoy your time here is on foot. Walk along the characterful alleys, relax at the marina while admiring the view and go sightseeing at your own pace. In 1997, UNESCO included the five Cinque Terre towns in the World Heritage List as a “cultural landscape of great value”, along with the near village of Porto Venere and the three Ligurian islands of Palmaria, Tino and Tinetto. According to UNESCO, the layout of these small towns and the surrounding terraced fields and gardens are an outstanding example of how humans adapted to an uneven nature and terrain over the years. In addition, the Italian law also protects the Cinque Terre towns as a national park and a marine protected area. Previous postWhat is the best time to visit Tuscany?